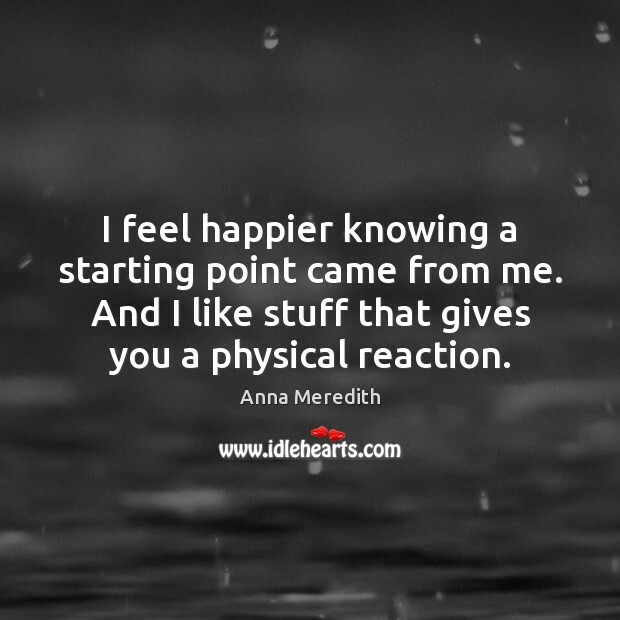 Enjoy the best inspirational, motivational, positive, funny and famous quotes by Anna Meredith. Use words and picture quotations to push forward and inspire you keep going in life! 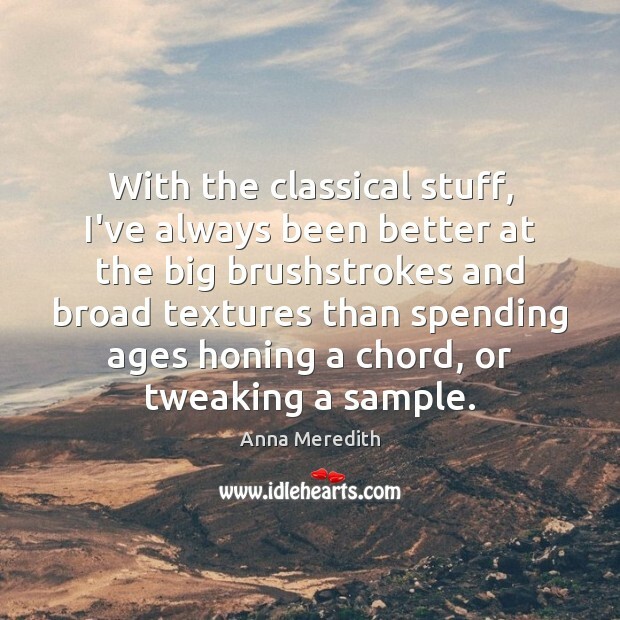 With the classical stuff, I've always been better at the big brushstrokes and broad textures than spending ages honing a chord, or tweaking a sample. 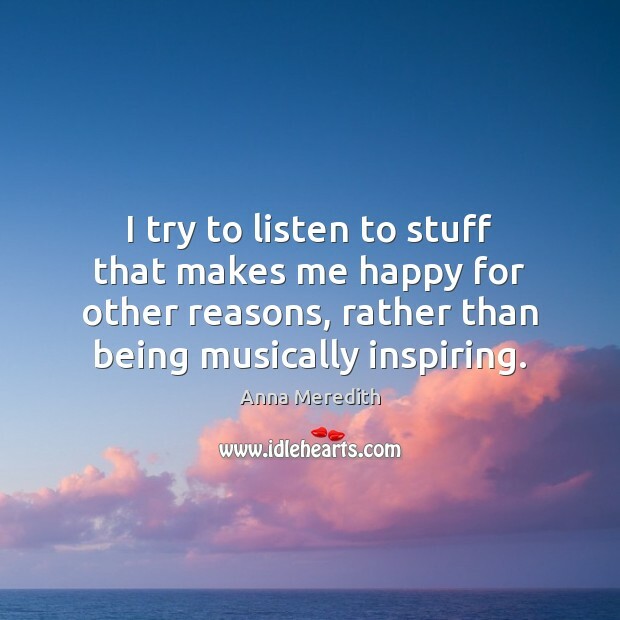 I try to listen to stuff that makes me happy for other reasons, rather than being musically inspiring. I've never been really interested in music, classical or otherwise, where the craft is more important than the result. 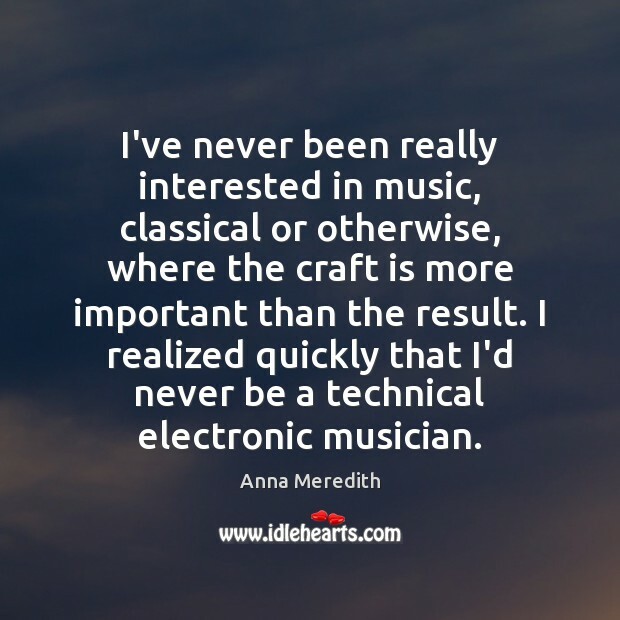 I realized quickly that I'd never be a technical electronic musician. 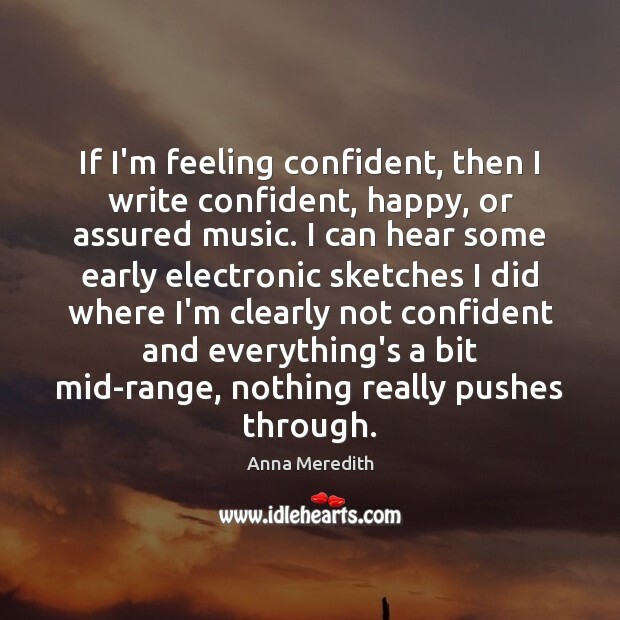 If I'm feeling confident, then I write confident, happy, or assured music. I can hear some early electronic sketches I did where I'm clearly not confident and everything's a bit mid-range, nothing really pushes through. 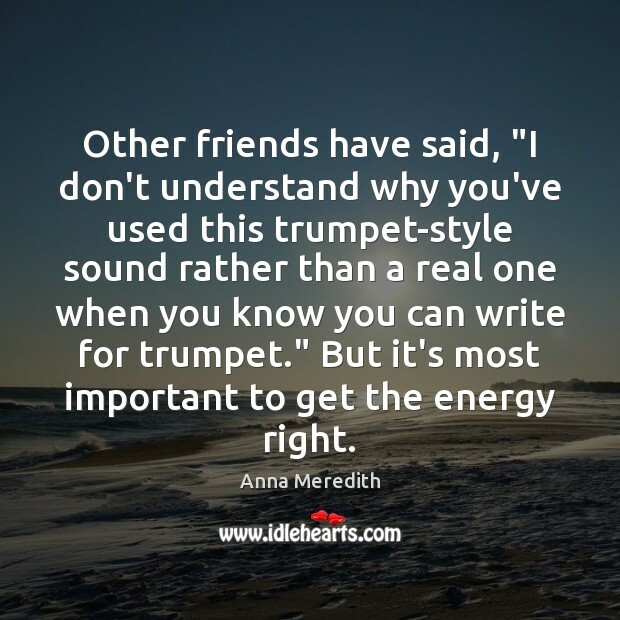 Other friends have said, "I don't understand why you've used this trumpet-style sound rather than a real one when you know you can write for trumpet." But it's most important to get the energy right. I'm less interested in uniqueness than in goodness. I see so many concerts where the program notes are more interesting than the music. 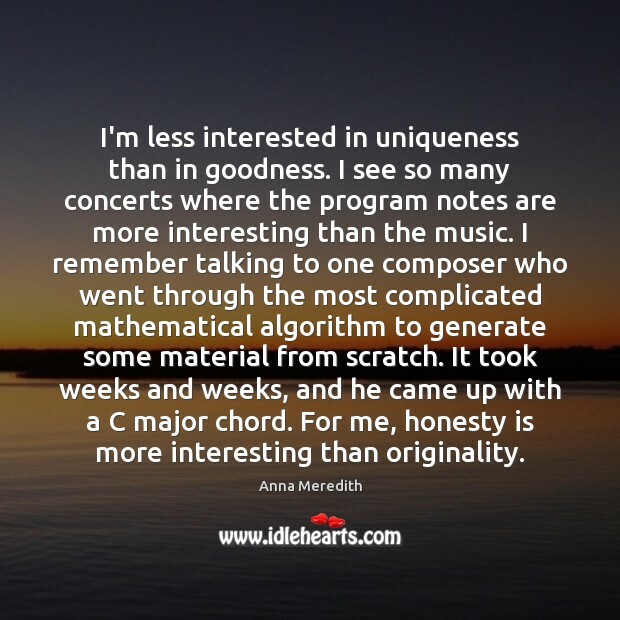 I remember talking to one composer who went through the most complicated mathematical algorithm to generate some material from scratch. It took weeks and weeks, and he came up with a C major chord. For me, honesty is more interesting than originality. 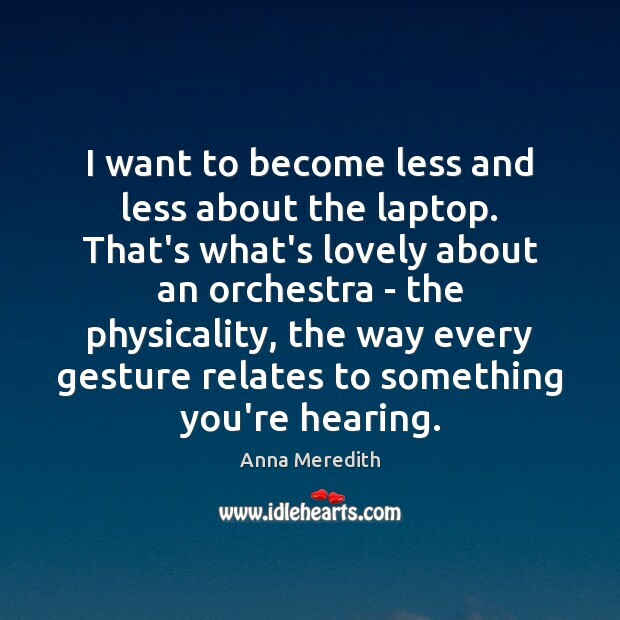 I want to become less and less about the laptop. That's what's lovely about an orchestra - the physicality, the way every gesture relates to something you're hearing. 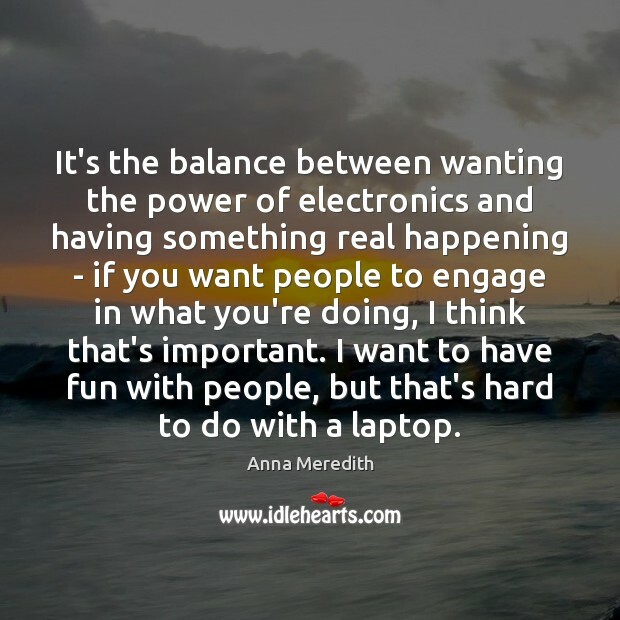 It's the balance between wanting the power of electronics and having something real happening - if you want people to engage in what you're doing, I think that's important. I want to have fun with people, but that's hard to do with a laptop. I feel happier knowing a starting point came from me. And I like stuff that gives you a physical reaction. I'm up for a massive, bombastic tour with hydraulics, robots, lasers, 15 costume changes, projecting on a power station, big impact, big visuals. I'd love to realize the theatricality of the whole thing. 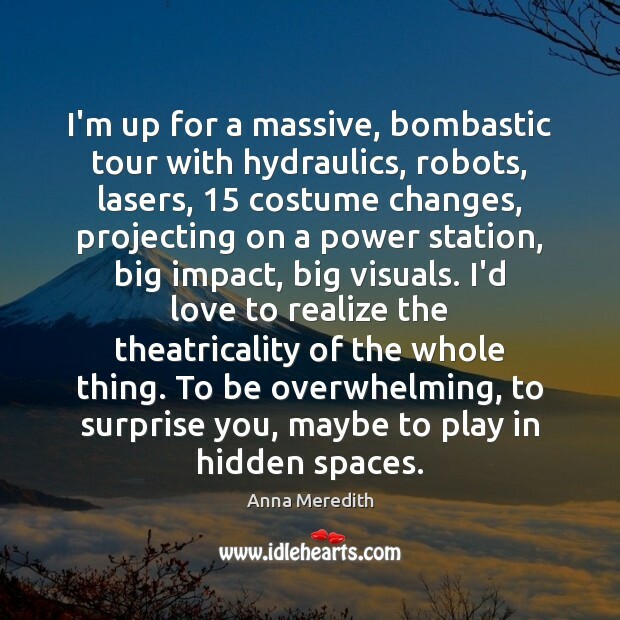 To be overwhelming, to surprise you, maybe to play in hidden spaces. 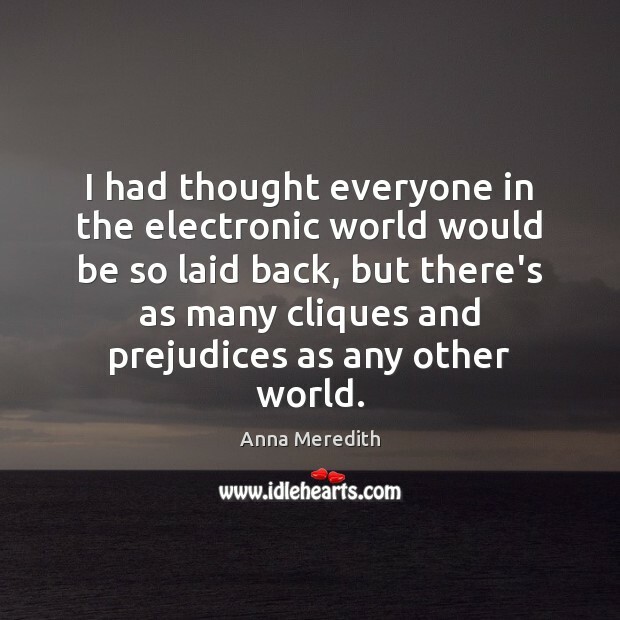 I had thought everyone in the electronic world would be so laid back, but there's as many cliques and prejudices as any other world. 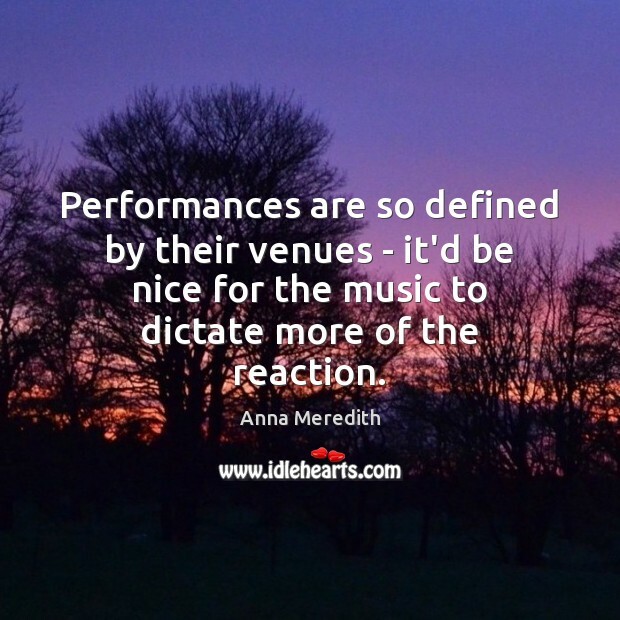 Performances are so defined by their venues - it'd be nice for the music to dictate more of the reaction. 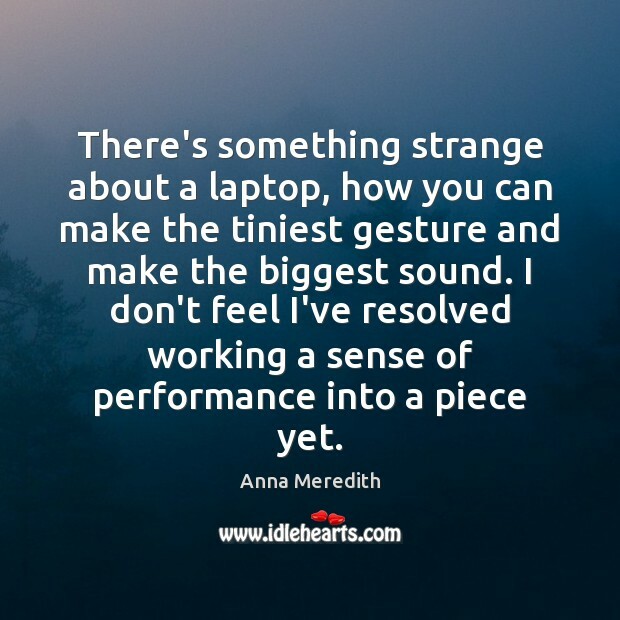 There's something strange about a laptop, how you can make the tiniest gesture and make the biggest sound. I don't feel I've resolved working a sense of performance into a piece yet.